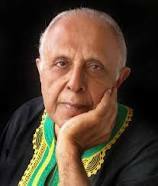 The Jamiatul Ulama South Africa has confirmed that the funeral of late stalwart Ahmed Kathrada is expected to take place tomorrow. Kathrada passed away at the Donald Gordhan Hospital in Johannesburg early on Tuesday. He was hospitalised earlier this month for surgery related to blood clotting on the brain. Secretary General of the Jamiatul Ulama South Africa Moulana Ebrahim Bham says Kathrada will be buried according to Islamic rights. Ml. Bham says people should continue to make dua that Allah accept Kathrada’s efforts.